A fundamental and complete tool to have eyebrows that always look perfect. A slightly pigmented setting wax that is adjustable and non sticky it creates the perfect base for eyebrow make-up, to define and shape brows easily. A colored compact powder that has a silky and super lightweight texture it clings perfectly to the wax and defines lashes flawlessly. Professional tweezers to perfectly remove excess hair. 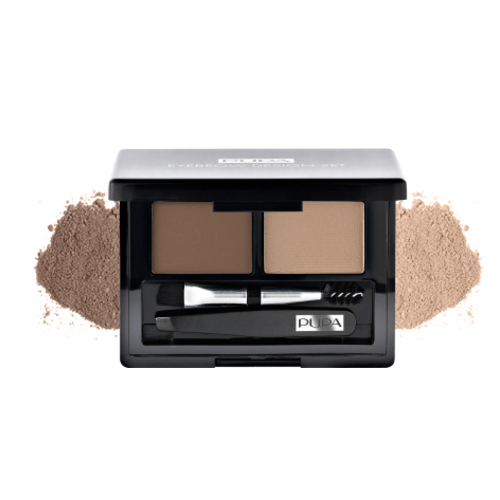 A double applicator with angled brush and comb to apply wax and compact powder flawlessly and to shape brows. EYEBROW DESIGN SET, by Pupa, comes with all the necessary for the care of your eyebrows. Three shades available, to match blond, brown and black hair. Setting wax pigmented, adjustable and non-sticky to create the perfect base. It defines and shapes brows. Compact powder colored, silky and lightweight, it perfectly clings to the wax and fills brows in. Professional tweezers to remove excess brows. Double applicator, angled brush+comb to apply wax and powder and to give brows a nice shape. The Setting Wax contains special Pigments and Lightweight Esters, which make the texture very light, non-sticky, with a perfectly adjustable color. Enriched with Vitamin E, which has anti-oxidant qualities. The Colored Powder contains special Polymers and Spherical Powders that make the texture silky, very light and perfectly clinging to brows to shape them flawlessly with a long lasting effect. • Remove excess brows with tweezers. 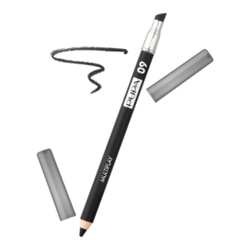 • Draw the desired eyebrow arch with the pigmented wax, using the angled brush. • Color and fill in brow arch with powder using the angled brush use its flat side for a thick line and the angled side for a thin one. • And as a last step, use the comb to blend powder and shape brows.